Gather all your ingredients. Add the butter and sugar to the stand mixer bowl and cream. Ingredients for a tart shell dough. To the stand mixer add the butter and sugar and cream. Add the egg and the vanilla extract. Mix to incorporated, making sure you scrap down the bowl. Add the eggs and the vanilla extract. Incorporate into creamed mixture. Add the flour and mix about 30 seconds to incorporate. Turn out onto some plastic wrap, form a disc and wrap well. Refrigerate at least 30 minutes before using. Add the flour all at once and mix in for about 30 seconds. Turn out onto a piece of plastic warp, form into a disk and wrap well. 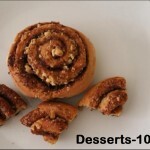 The dough is double wrapped and chill a minimum 30 minutes in the refrigerator. 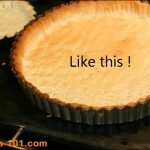 This recipe is for the dough base to make a tart shell. Add butter and sugar to the mixer bowl and cream together. Add the egg and the vanilla extract. Incorporate and scrape down the bowl to ensure everything is well mixed. Add in the flour and mix until incorporated, about 30 seconds. 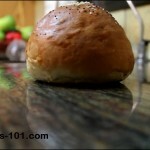 Turn out the dough onto a piece of plastic wrap, form a disc and wrap well. Refrigerate for at least 1 hour to chill. 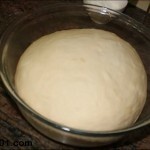 This dough may be made 4 or 5 days before you need it and stored in the refrigerator. Make you dough with me!